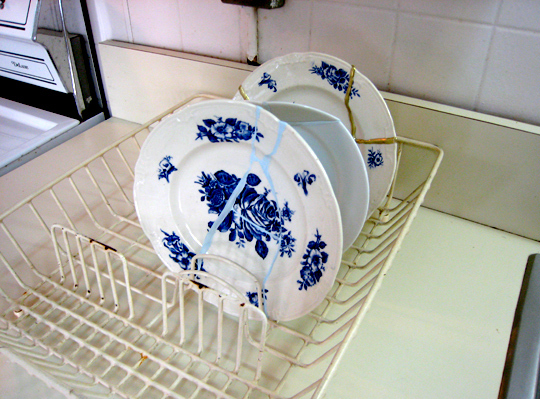 Last week we wrote about the "Go Slow Cafe" at the "Pioneers of Change" exhibit on Governors Island in New York City (that continues over the coming weekend, Fri-Sun), and here's something else we thought we should bring to your attention: Designer Lotte Dekker's ceramic work as part of Platform 21's "Repair house." 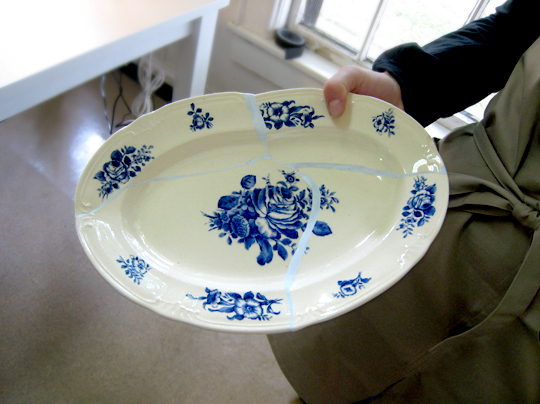 Part of the project includes a workshop where people can break plates and put them back together. 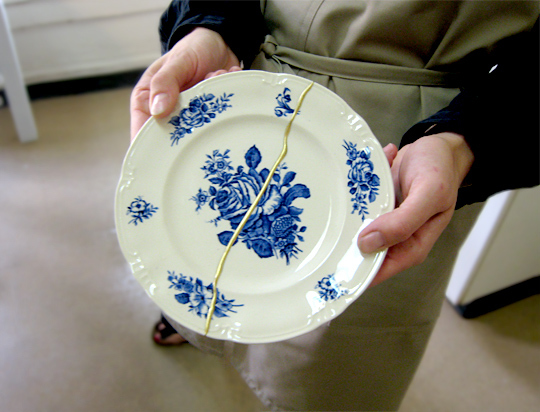 Lotte Dekker developed a new technique for repairing porcelain based on kintsugi (literally golden joinery in Japanese), a 15th century Japanese technique in which porcelain is repaired with gold leaf. 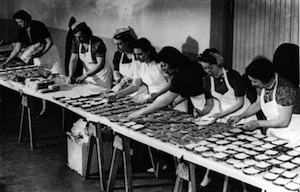 It became so popular during its peak that people deliberately broke their own pottery so they also could have it "repaired." 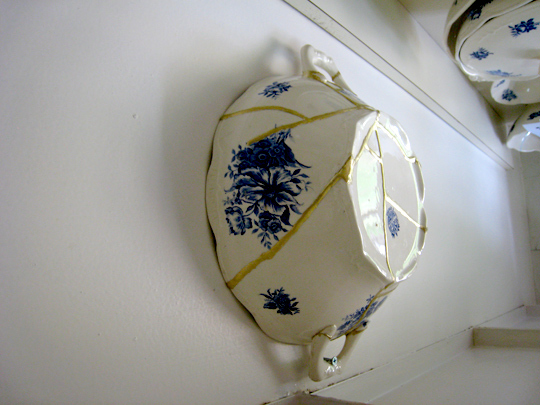 Dekker's technique, called "Bison Kintsugi," evokes kintsugi in spirit, but instead uses modern-day Bison glue and inexpensive gold powder to achieve similar results. Dekker also presents the technique she calls "Tectonic Repair," using a kneadable glue that widens and essentially reshapes the cracks, allowing for the creation of new forms and possible functions out of pieces of broken porcelain. Here's the best part: if you wish, at the workshop, you get to smash plates and put them back together using her techniques. 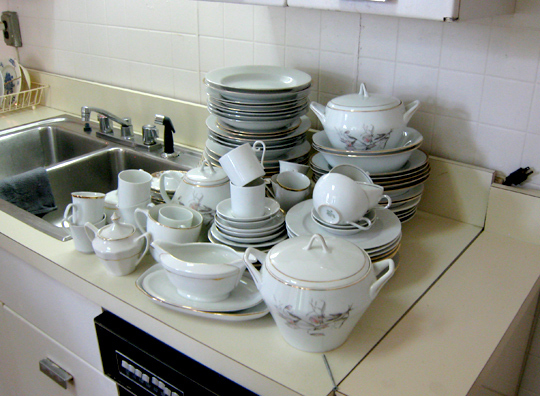 There's a huge stack of plates just waiting to be broken. 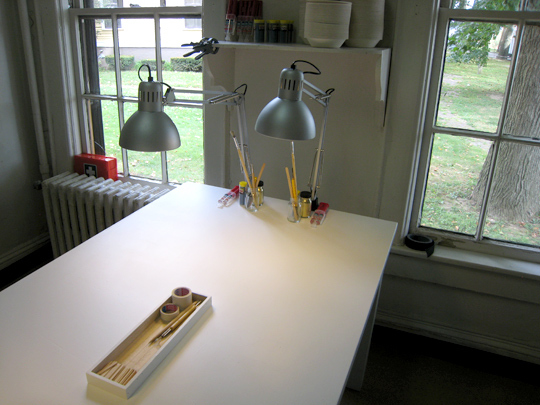 "Platform21 = Repairing" is in House 6A: Harlem / Haarlem.